The much anticipated sequel to the bestselling new adult romance Forever Innocent , Forever Loved by Deanna Roy, is getting released in sometime and its cover was revealed today. The cover has been designed by Casey Shay Press. Checkout the cover and the book details. The much-anticipated sequel to the bestselling new adult romance Forever Innocent . — a teen pregnancy, a seven-day-old baby who died of a heart condition, and his decision four years ago to leave Corabelle behind and not look back. Forever Loved is the heart-wrenching conclusion to Corabelle and Gavin's passionate story. Deanna Roy is a passionate advocate for women who have lost babies. 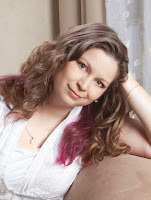 She founded PregnancyLoss.Info in 1998 and runs many online and in-person support groups. She is the author of several two-hankie reads, including Forever Innocent , Stella and Dane , and Baby Dust: A Novel about Miscarriage and Pregnancy Loss .